Updated P90X T25 Hybrid Schedule! FREE Download. 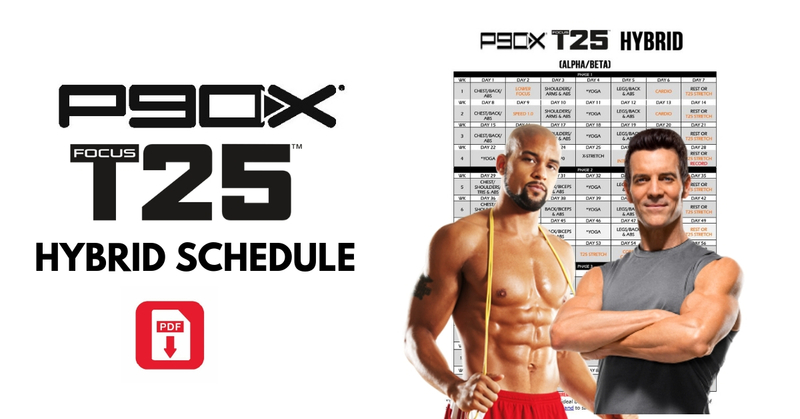 The Updated P90X T25 Hybrid Schedule is Here! Coming up with an effective P90X T25 Hybrid Schedule is much harder than you think. Contrary to popular belief, designing a hybrid schedule isn’t as easy as just putting workouts from two programs in a blender! It is very important to schedule the workouts in a way that provides sufficient rest for each muscle group. Too often I see hybrid programs out there that nail a specific body part two or three days in a row! That is counter-productive. Remember that exercise is the architect and rest is the builder! Although this schedule was put together carefully, you have to understand that it comes from combining two programs that were really meant to stand alone on their own. Therefore you might still find days where your shoulders are sore from a previous workout and today’s workout is shoulder-intensive. Change it up! Get creative! 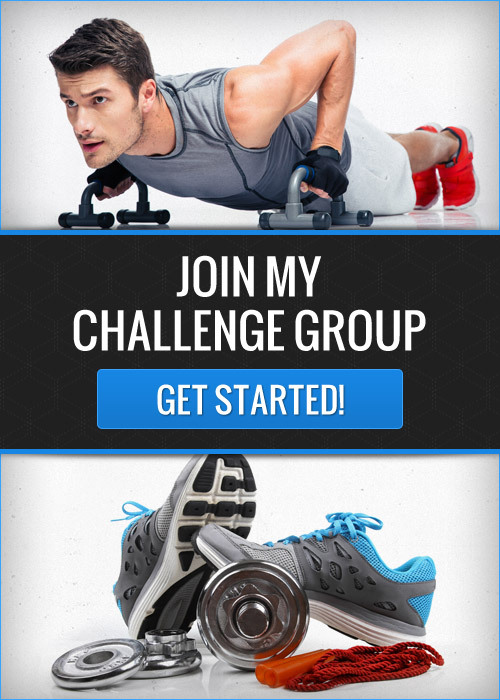 The P90X T25 Hybrid Schedule is a guide and is not set in stone. 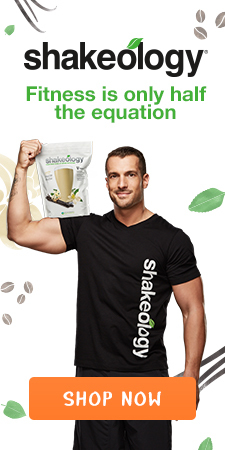 Still need to purchase P90X or T25? DVDs are a thing of the past. 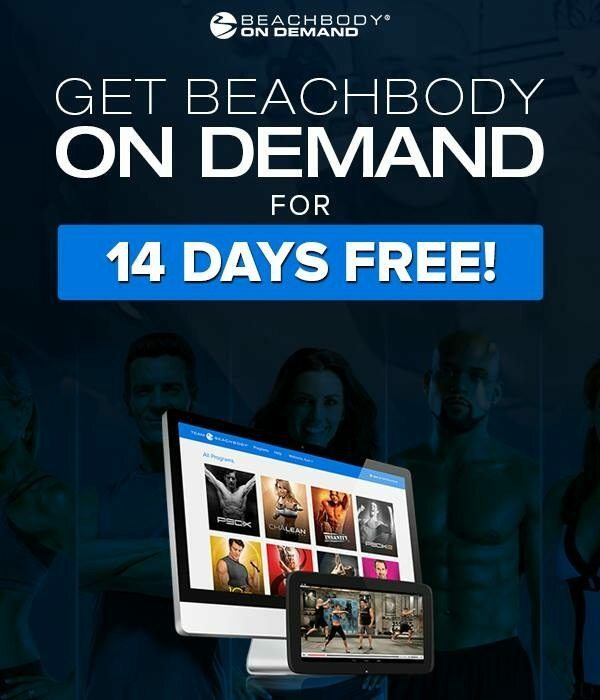 You can now stream P90X, T25 (including all of the bonus workouts) and ALL of the Beachbody workouts with Beachbody on Demand! DO NOT SKIP YOGA! P90X Yoga is idea, but it’s 90 minutes long. That is not always practical. You may occasionally do one of many new yoga workouts inside the Beachbody Yoga Studio that is part of Beachbody On Demand. Use the P90X Worksheets! 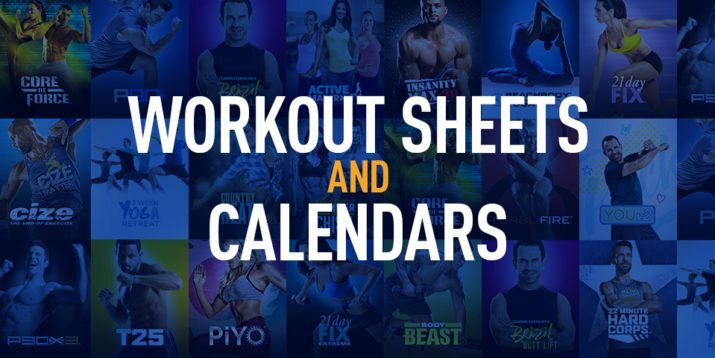 These worksheets will be included with your download of the P90X – Focus T25 Hybrid workout calendar, be sure to use them to track your progress. Attempt to add a little weight each time you repeat a workout. Please note that there are no worksheets for T25 as they are not applicable.